Pet Trusts…What Happens to Fido When I'm Gone? | Melone Law, P.C. Pet Trusts…What Happens to Fido When I’m Gone? Home Pet Trusts Pet Trusts…What Happens to Fido When I’m Gone? Your dog, cat, bird, horse, rabbit, guinea pig… are all important members of your family. As part of the estate planning process, pet owners need to consider who will care for their pet(s) when they no longer are able to provide care themselves due to death or incapacity. Should I leave my pet to a family member or friend? Can I support my pet financially after my death? There are often many questions that an estate planning attorney can answer to give you peace of mind, and legal measures that you can take to ensure that your pet(s) will be taken care of in the future. When a pet owner dies without providing specific instructions for the care of his or her pet, the pet is treated as personal property, just like furniture, jewelry, and other possessions that legally pass to the beneficiaries under the pet owners will or trust, or to the heirs of the estate if the pet owner dies intestate. When a pet owner becomes incapacitated, their pet is often left with whomever has taken over the management of the property and finances of the pet owner. To remedy this situation and make sure that your pet is taken care of according to your wishes, you can establish a pet trust. Virginia code 64.2-726 Trust for Care of Animal, outlines the planning of a pet trust in Virginia estate plans. A Virginia pet trust is a legal document that can direct the physical and financial care for an animal or pet after the death or incapacitation of the owner. This includes any pet that is living at the time of your trust’s creation and named as a beneficiary of the trust. It does not include any future pets that might be acquired. The pet trust is active from the time of your death or incapacity until the death of your pet, or death of the last pet included in the trust. A pet trust only covers pets that are explicitly named in the trust document. If you have multiple pets, even multiple species, they can all be covered under the same trust. The Trustee: When establishing a pet trust, you will need to determine a “trustee” or caretaker. The trustee will manage the trust and care for your pet. This is usually someone close to you who knows and likes your pet and is willing to take on the responsibility of pet ownership. If you do not designate a trustee, the court will appoint an administrator who will oversee the management of the trust. The trust property can only be accessed and used as the trust specifies. The position of the trustee is to protect the trust beneficiaries, the named pet(s), and ensure the trust is well-managed. If no family or friends are able or willing to act as caretaker, the pet owner may seek the advice of the pet’s veterinarian with regard to an appropriate organization to provide pet care. In some cases, the pet owner may consider designating a non-caretaker as trustee of the trust. A trustee, who is not the caretaker, could be given the authority to enforce the trust in the event the caretaker is not acting in accordance with the provisions of the pet trust. Virginia law operates under the assumption that your named trustee is someone you will trust with the financial and physical responsibilities of caring for your pets. Because of that, the trustee will not be subjected to the reporting, accounting, or appointments of court maintenance. Funding the pet trust: The funding of a pet trust will depend upon the life expectancy of the pet, the standard of pet care desired, and the estimated cost of veterinary care, food, and other appropriate expenses. You will need to review your estate and determine which assets will be included to fund the trust. Assets may include property that is accumulating income like stocks and bonds, assets from the sale of your estate, or money that has been set aside for the purpose of funding your trust. Any property not included or used by the pet trust will be redistributed within your estate. Standard of Pet Care: A pet owner also may wish to include specific instructions within the trust detailing the standard of pet care to be provided. This may include grooming, housing, feeding, veterinary services, and even things like exercise and socializing. In addition, a pet owner may wish to clearly set forth the circumstances when surgery and other procedures, including euthanasia of the pet is appropriate, if ever, and provide guidance for the proper disposition of the remains after the death of the pet. Trustee compensation: The pet trust may also be a source of income for the caretaker that you designate to take responsibility for your pet. Assets within the trust may compensate the trustee and caretaker you appoint (if they are not the same person.) This compensation acts as incentive for the trustee and/or caretaker to continue caring for your pet(s) as you wished. When all of your pets that are covered by the pet trust die, the trust assumes the final expenses. The funeral, burial, cremation, or other end of life expenses are all paid by the trust. The trust is terminated at the death of the last pet named under your Virginia pet trust. The remainder of any assets in the trust then reverts back to your original estate. Losing you can be completely life-altering for your pets and it’s important to have a plan in place. Knowing who will care for your pets when you can no longer take care of them will give you peace of mind. 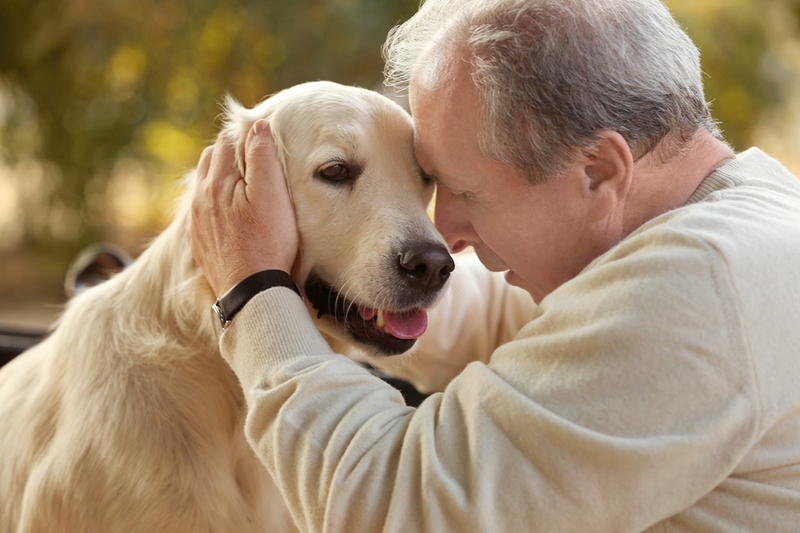 Now is the time to consult an estate attorney about establishing a trust for your pets. We know from experience that a successful attorney-client relationship depends on our ability to understand your needs and objectives. For more information about pet trusts and our estate planning services, contact our office today at 703.995.9900 or visit our website: www.MeloneLawPC.com.